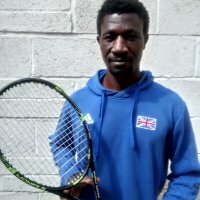 Moses is an LTA Level 3 trained tennis coach. He has been coaching for over 10 years before living here in the Uk. He has gained extensive experience of coaching and training players at all levels. Moses started playing tennis when he was 14 years old and participated in several tournaments. At the age of 20 he started working as a tennis hitter for senior players at the club and then moved quickly onto coaching after doing his International Tennis Federation coaching course which was organized by the Uganda Tennis Association, of which he was a Board Member.